Generational talent Brian Michael Bendis arrives on Action Comics Vol. 1, as the longest-running North American comic book series ever focuses not only on the Man of Steel, but also on the town he made famous: Metropolis! Acclaimed writer Brian Michael Bendis' new chapter for the Man of Steel and the City of Tomorrow begins here! The devastating repercussions from the Man of Steel graphic novel still reverberate as Metropolis enters a new age! The Daily Planet teeters on the brink of disaster! A new criminal element has made its way onto the streets of Superman's hometown! With art by the best-selling writer and artist Patrick Gleason, both Metropolis and the Man of Steel take center stage as Brian Michael Bendis continues his grand entrance into the DC Universe. 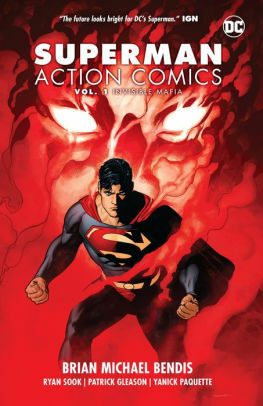 This graphic novel also serves as a sister series to Bendis' new run beginning in Superman Vol. 1! Collects issues #1,001-1,006.